"Technology is growing smaller and bigger at the same time"
Samsung's portable SSDs are hitting the tech market seriously with upper cuts as other brands are coming up. 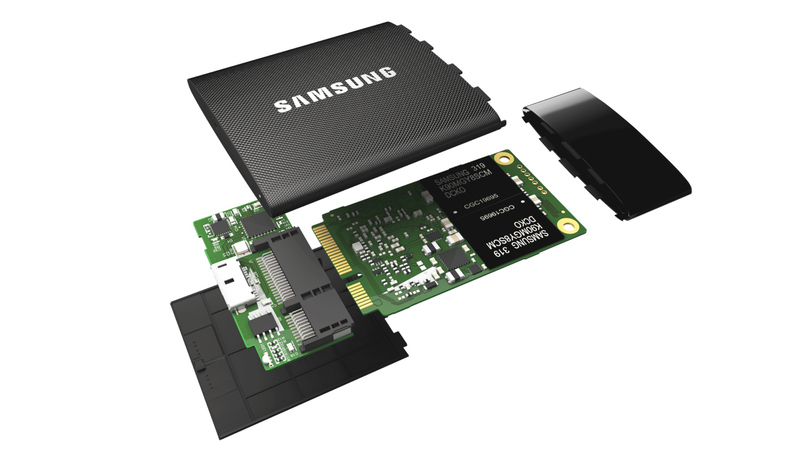 Many Samsung Electronics fan are loving it and many more new fans of SSDs are joining in. For me the new crop of smaller in size and bigger in capacity drives are my new love, SSDs don't need to house a spinning platter thus making it a whole lot smaller and easier to slip into a small pocket. I had called the USB 'On-The-Go' cables some months ago as having a cloud of their own to carry around, now for 3/4 the size of a business card and 30 - 51 grams in weight the Samsung SSDs are the apt tech on having a cloud of your own. The Samsung Portable SSD T5 corrects the T3's most glaring omission by including a USB-C cable, the Type-C Gen 2 model, delivers twice the maximum theoretical transfer rate of its predecessors which Samsung claims its up to 540MBps via USB 3.0. Such speed is due to the newest Samsung's 64-layer 3D V-NAND memory technology feature which started with the T1. The T1 has a plastic chassis but the T3 and T5 chassis are metallic ensuring that the chips inside are properly cooled for great performance and a shock resistance of about 6.6 feet (2 meters) drop. In addition, the T3 and T5 have integrated Thermal Guard feature that prevents overheating in extreme temperatures. According to capacity and colours, all the SSDs are available in capacities of 250GB, 500GB and 1TB but the T3 and T5 have 2TB drives. The 1TB and 2TB versions have a monochromatic black finish, while the 250GB and 500GB capacities are blue. The big improvement comes from the 64-layer 3D V-NAND Triple Level Cell flash memory used in all Samsung SSD drives, as well as the updated firmware and the support for TRIM via the UASP (USB attached SCSI) protocol. It won’t work on the default exFAT file system which will enable you to use on all three operating systems (Android, Windows, Mac) out of the box though you can also format the drive to NTFS to improve performance when transferring small files. Security nowadays is of utmost importance and is in everyone's mind before purchasing anything used to hold important/personal documents. 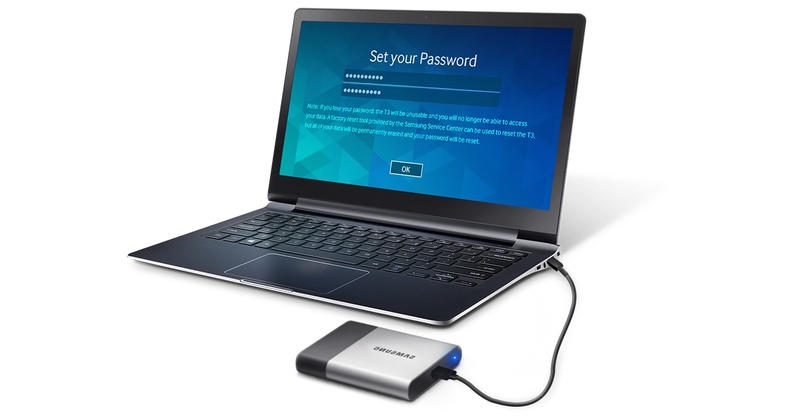 Samsung guarantees that with all its portable SSD drives. The Security software is relatively sparse. The drive includes the Samsung Portable SSD security software utility, which activates and manages the drive's built-in AES 256-bit encryption via password. The encryption software works on Android tablets and phones, Macs, and Windows PCs. Apart from Samsung SSD drives, there are other companies with their own portable SSD drives for you to choose from. We'll get to see them soon so that you are spoilt for choice and not stuck with the awesome but very expensive Samsung SSDs to choose from. Don't forget to submit you email addresses below and also liking the article and our Facebook Page. I gotta bookmark this website it seems handy handy. Welcome and please share widely. 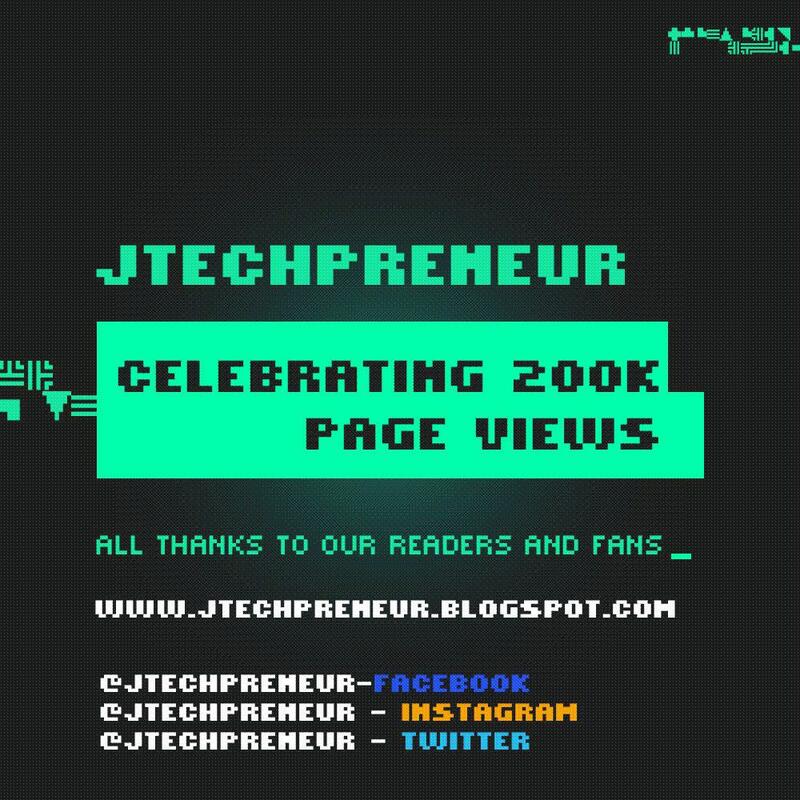 Remember you can ask a question via our email address jtechpreneur@gmail.com and say if you want the answer posted under the 'Question and Answer' section or directly via your email address.